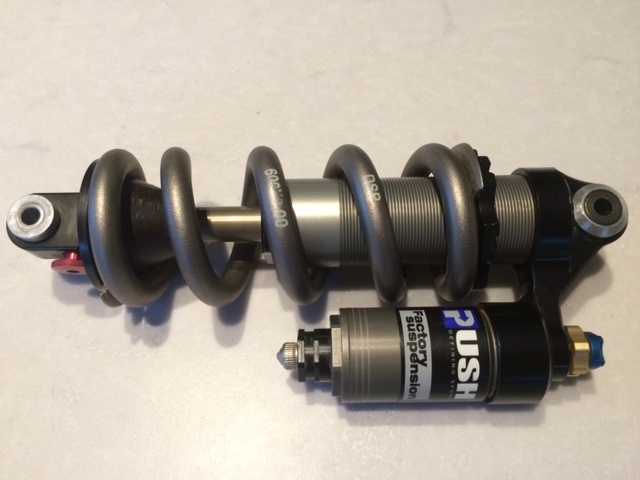 Pimp out your 5spot or Burner with one of these two shocks that came off my 2010 5spot. Their both in good to excellent working condition. The PUSH Monarch Plus had a rebuild with a revalve in 2014 and did not receive much use after that as I was mainly riding an Ibis Ripley while biding time until the RFX came out. The titanium coil on the MX is 264 g which sheds 147 g off the weight of the shock with a steel spring. Reducers that fit a turner frame are included and the Monarch Plus has a RWC needle bearing in the upper eyelet. 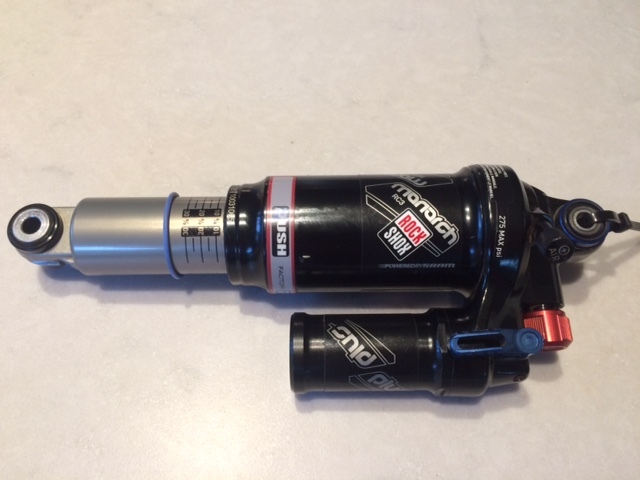 Both shocks have a light compression tune to work with the DW link with a rider weight of 210-215lb (+/- 10% per Push). The SPOT and Burner both use a traditional rising rate linkage which is very complimentary to both coil and air shocks. The Pushed Monarch Plus is still the best air shock I've had and was purchased directly from Push with their internals. The redesigned reservoir bridge on the MX also addresses fit issues on bikes that require additional clearance such as the Turner 5 Spot. I checked with the tech at PUSH who rebuilt the Monarch on the tune and rider weight. I said it would be good for 195-235 rider range. For someone interested in a coil for their RFX the MX tune DHX can be converted to 7.875in X 2.25in but you'd need a different coil. DSP is no longer making titanium coils but a similar Ti coil from Renton is $300 retail. Does PUSH still service the Monarch? Sent from my Galaxy Note 3 using Tapatalk. Repair Services - Go-Ride.com Bicycle Shop, Salt Lake City, Utah. Monarch RT3 - High Tune vs H3 Tune?